Jill Stuart Fall 2013 Collection New York Fashion Week. Femininity with a fun twist defined the Jill Stuart's latest collection at this New York Fashion Week edition. See the brand's hottest looks! 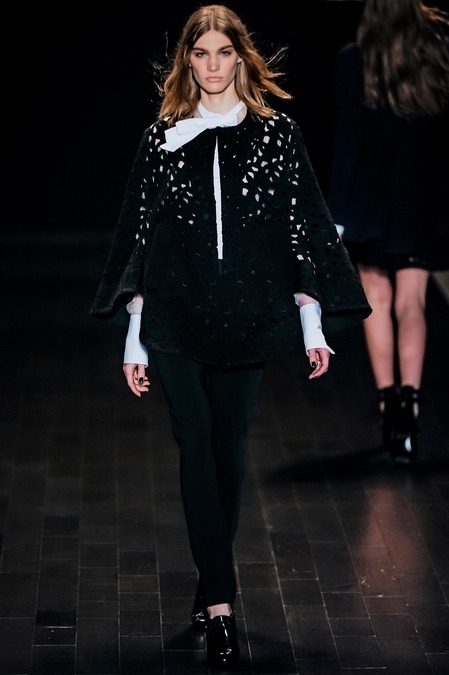 The Jill Stuart fall 2013 collection felt an awful lot like London Fashion Week 2013 given the fact that that the designer took inspiration from British aristocracy. She and Tommy Hilfiger both fell in love with Britain and reflected the fondness for all things British differently. The Jill Stuart fall 2013 collection brings a modern spin on things while Tommy Hilfiger focused more on timeless preppy touches. 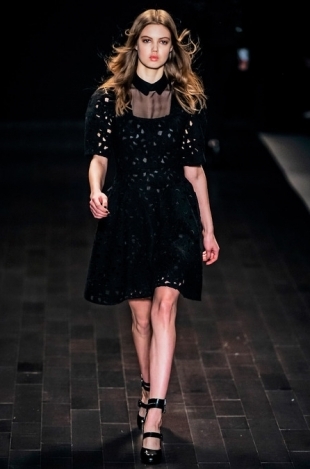 Another important difference is the color palette as the Jill Stuart fall 2013 collection shows a clear preference for the dark side. Femininity seems the dominant perspective adopted by the label, however, Jill Stuart doesn't go for the typical romantic perspective, using Stella Tennant as a muse. The brand doesn't shy away from using bold sheer touches or making use of geometric patterns for a bold style statement. The result is an interesting one and sure makes the Jill Stuart fall 2013 collection a worthwhile source of inspiration for those who are ready to experiment with something a bit different in the upcoming seasons. 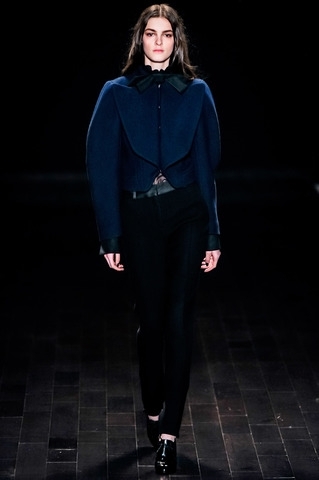 Though dark tones definitely stole the spotlight in the beginning towards the end of this New York Fashion Week 2013 show, a more optimistic set of options began stealing the spotlight. The experiments especially in the fabric department are a clear proof that the designer has plenty of interesting things left to show. 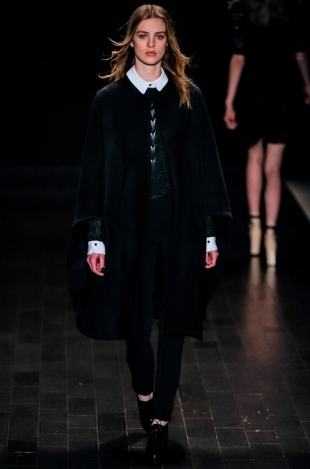 Intense yet spectacular, the Jill Stuart fall 2013 offerings sure manage to steal the spotlight. Sweet and polished or dramatic and intense, the new offerings showed a desire to bring casual touches into the spotlight yet the label's natural inclination towards fab cocktail dresses shined through once again. How will the fall 2013 fashion look like? 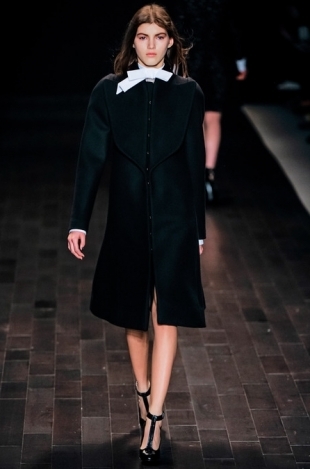 Extremely interesting, it seems and this New York Fashion Week 2013 sure opened our appetite for more fab looks.